The driving and adaptive transportation program at Craig Hospital is run by designated occupational therapists who are specialists in the field. 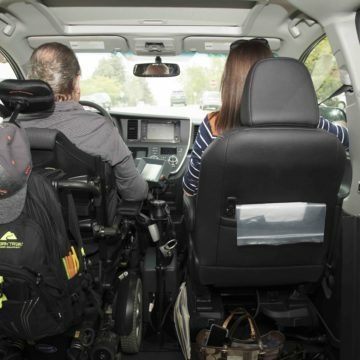 The program includes driver evaluation and adaptive driving training, as well as education on vehicle modifications and adaptive transportation equipment for passengers when driving is not an option. Craig owns three vehicles with high and low tech adaptations for use in the adaptive driving program. Craig also works closely with community vendors in our transportation clinics. The driving and adaptive transportation program serves only past or current Craig Hospital spinal cord injury rehabilitation patients.